Is Mold Making Your Family Sick? Check Into Mold Removal Now. Sniffing, sneezing, coughing, watery eyes, itchy nose–all of these symptoms sound like a pesky spring cold or seasonal allergies. They’ll run their course and be gone, right? Maybe. But if they’re not gone in due time, you should look for another source for those maladies. That source could be growing right under your nose. It just might be mold. Mold is an adaptable fungi that can live just about anywhere. The only thing it really needs to grow is a little moisture. If that moisture happens to be in your walls, basement, attic, carpet or anywhere else that isn’t easily visible, mold could be thriving in your home and making your family sick. Children, elderly people and anyone who is already prone to respiratory issues, such as asthmatics, are particularly at risk. It’s important to contact a mold remediation or restoration company if you suspect that you have moisture in your home to check for and remove the mold as soon as possible. Mold can quickly become a health hazard. Given that there are over 100,000 types of mold and mildew in the United States, it can be easy to miss. Mold grows in a variety of colors, but it can also be very difficult to detect with the naked eye. 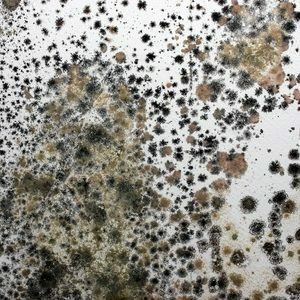 After an unexpected event such as water in your basement, a leaky roof, burst pipes, sewer backup or storm damage, you should absolutely have mold removal experts inspect your home for mold growth and have that mold remediated as quickly as possible to protect your household’s health. New and unexplained respiratory symptoms. New or worsening fatigue and body aches. Proper mold remediation is key. Mold is not something most folks can remediate on their own. Attempting mold removal with products such as bleach or other household cleaners often only serves to exacerbate the respiratory problems while failing to remediate the mold. Preventing mold can be difficult for the homeowner as well. In addition to carpet, wallpaper and other structural elements of your home, mold can grow in clothing, bedding, towels, stuffed toys and rugs. Water damaged materials should be professionally assessed, cleaned and dried with the proper equipment within days of becoming wet for mold prevention. Simply spreading them out to air-dry unfortunately will not prevent the growth of mold. And if you don’t discover the moisture early enough, mold prevention will likely turn into mold remediation or restoration of your property. The good news is that mold restoration is possible! If you find previously undiscovered mold on an item, you may think your only option is to trash it. But mold restoration is possible. Consult your local mold remediation expert to ask if your precious items can be saved. While we hope that you never need mold removal, we know the stress and mess that can be caused by water disasters. Because we can’t predict what Mother Nature has in store for us this spring, it’s good to know that the team of certified and trained mold remediation and restoration experts at Hays + Sons are just a phone call away, 24 hours a day, 7 days a week, 365 days a year. With 140 employees, 120 vehicles, and eight separate locations, Hays + Sons has you covered.